While at the hospital I quickly realized that the key to keeping my sanity was to celebrate every small success. My goal for the first weeks on the fifth floor was to simply breathe on my own. At first I took off my oxygen for a few minutes a day. Slowly, I increased the amount of time I could breathe independently, until one day, I didn’t need oxygen anymore. That was the first activity I was independent at—breathing. Baby steps, I told myself. Baby steps. When I was finally free from the oxygen, it was time for me to baby step my way off of the fifth floor and up to the seventh. That was the rehab floor. When I moved up to seven, I noticed right away that the nurses were really nice and seemed to know a lot more about how to take care of me. I received a lot more individualized attention, which eased my fears a bit. The only things that I missed about fifth floor were the beautiful nurses and the sponge baths from nursing students. My first roommate on seven was Adam. He had an injury similar to mine. About three months before my injury Adam’s brother was driving Adam, his sister, his mom and dad when a deer leaped out in front of their SUV. To avoid the animal Adam’s brother swerved the car and rolled it into a ditch. Everyone walked away from the accident with out a scratch, except for Adam who broke his neck and had a C5-6 complete spinal cord injury. Because Adam’s injury was complete the doctors said he didn’t have any chance of walking again. On the other hand, the doctors still gave me a chance of walking, because I had a C5-6 incomplete spinal cord injury. About six nurses bolted into my room. After seeing that my back side hadn’t actually burst into flames, they all got really excited about the fact that I was in pain. Two of the nurses, Barb and Nancy J, broke in an absolutely horrible version of “Hurt So Good.” Even though I was in a ton of pain, I still let out a bit of a chuckle. The nurses told me the more feeling I get back now (regardless of whether it’s pain or pleasure), the more likely I’ll get some return in my motor function (movement). I got more and more feeling everyday. When I first arrived on seven, I could feel my toes and the lower part of my legs pretty well, but that feeling wasn’t even close to how it felt a couple of weeks before. My face, head, neck, and shoulders were the only places where I had normal sensation. Everywhere, from my chest down to my lower legs, had pretty spotty sensation. In some spots I could feel a little bit and in other spots I couldn’t feel at all. On my first night on seventh I met one of the craziest people I have ever come into contact with. l tell you about him in a bit. First, I need to talk about my move. When I was moving from the fifth floor up to the seventh floor, they just wheeled me up in my bed. The first thing that I noticed when getting in my room was the roar of a helicopter that was landing on the hospital’s helipad, directly outside my window. My dad and I had a little discussion whether having a helicopter outside my window would be cool or annoying. I said cool. My dad said annoying. The first person I met on seventh floor was a nurse named Barb. She was a really caring person and a great nurse. She was about 45 years old, tall, with frizzy blond hair, and a slightly crooked, but pleasant smile. Maybe the reason I like her so much is the first thing she said to me had something to do with me being the best looking human being she had ever seen. My parents and Jonny helped move the mounds of chocolates, balloons, flowers, stuffed animals and other random but useless gifts into my new room. By the time everything was moved and I was settled it was about 11 p.m. This is when the crazy guy comes in. Ray was a solidly built man in his mid to upper thirties. He had a thick mustache that stretched across his upper lip and then down both sides of his mouth to his chin. He walked straight up and down and keept his chest puffed out and proper. “I’ll be your orderly tonight, soldier,” Ray said to me. “Orderly?” I said softly not sure what that meant. Barb turned to me and whispered that Ray was a military man and if anyone called him a nursing assistant, Ray would make them very sorry. Ray straightened out the bed and plugged it into the wall, strapped splints on my hands and feet and then went to get a nurse call button. Because of my injury, I was not able to press the type of nurse call buttons that most people use. Instead, I use a call button that is flat and looks like a small pancake. All that I needed to do in order to call the nurse was to flop my hand on the device. When Ray returned he had two pancake nurse call buttons. One small button and one that was a little larger, like I had been using on fifth floor. He asked me which button that I would like to use and I told him I wanted the bigger one. As soon as I said that he cursed out loud. I wasn’t sure if I should chuckle or be frightened. He was mad because the adapter on the wall needed to be switched if I was going to use the bigger pancake button. After Ray struggled with the adapter for about ten minutes I told him that the smaller button would work fine, but he insisted that I use the bigger one. Fifteen minutes later I reminded him that I really didn’t need that call button, but he still insisted. After fifteen more minutes went by I was getting really tired and I couldn’t sleep while Lieutenant Ray was clanking around behind my bed. “It really isn’t that big of a deal that I have that call button,” I said. “Joey,” Ray replied, “This isn’t about you anymore.” After another twenty minutes of war against the buzzer adapter, Ray finally got it working. That was the first time I realized that maybe I didn’t need to feel bad that all these people were helping me. The emergency helicopter woke me up three times my first night on seven. My dad was right. 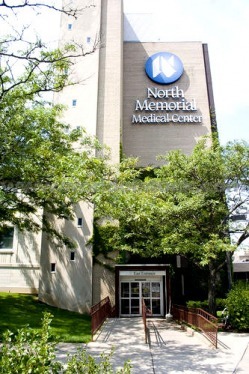 I spent four months at North Memorial. The majority of that time I spent on the seventh floor. I could write an entire novel about my experience on seven (and maybe I will). Well maybe I’ll talk a little about my second roommate, Jake. I don’t think an honest description of my hospital stay could be complete without at least mentioning Jake. My first roommate, Adam, lived on the other side of our triple room for about a month. During that month I noticed Adam getting stronger and more independent. He helped to inspire me to keep on keepin’ on. We were like training partners. Eventually Adam moved onto the next stop on the road to recovery, Courage Center. His bed didn’t stay empty for long. In his place moved a young man named Jake. Jake was a few years older than me and had injured his spinal cord in the same place that Adam and I had. He was on a drunken raft ride down the Apple River when he was injured. Apparently he dove off a tree into the river and struck his head on a rock. His friends had to float his paralyzed body back to civilization before he received medical attention. He had an amazing story. By the time Jake arrived in my room, I was starting to scurry around North Memorial in my power chair more and more. I was also learning to eat, lifting weights, and trying my best to become as independent as possible. Jake had a large metal structure on the top of his head that looked like a medical grade chandelier. They called this device a halo. Jake could hardly move with that beast on his head. In therapy Jake would ask me for tips and tricks—I showed him how I ate, how I used the computer, and gave him other little hints at living life as a quad. Soon Jake became my new training partner. One day, something amazing happened. Jake had a spasm. Only it was an odd spasm of the like he had never felt before. Jake decided to have another spasm. This spasm was even stranger. Jake realized that when he decided to have a spasm, he was consciously moving his legs. Everyday Jake’s legs moved more and more. Soon Jake was roaming around the PT gym using a walker. I was a little jealous. Jealous, but at the same time pleased. Jake never learned to walk like he used to, but he did really well with what he had to work with. Around the same time I moved out of the hospital and into Courage Center, Jake moved to Courage too.